Seoul, South Korea -- Meditation, as practiced by Buddhist monks and practitioners, has become a spiritual tool and health enhancer in one. More than just the chants and meditative posture, meditation is about proper breathing and concentration of one's thoughts. As a health and spiritual practice, meditation came into prominence centuries ago in the East where people's lives and culture demanded a way to “escape” the realities of life. How do we know if we are already in a state of meditation or just wasting away time with our eyes closed? Meditation is a state of mind that leads to inner peace, self-fulfillment, self- improvement, and the development of a positive outlook in life. There are two types of meditation; the concentrative and the mindfulness type. 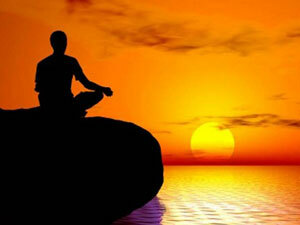 Concentrative is more on the person's concentration, sitting quietly and calmly with good breathing patterns. It is said that the one's mind is somewhat connected to one's breath of Continuous rhythm of inhales and exhales of the breath will make the person feel more calm and relaxed, focusing on their steady flow of air in and out of their bodies. This will result in the mind being more aware and tranquil at the same time. Mindfulness, on the other hand, involves attention and awareness on passing wave of sensations, images, feelings, thoughts, sounds, smell, anything that your body can interact with. This in turn will give the person a more non-reactive mind state, much like looking at a television, without any feeling or thoughts that can bother you away. Meditation and relaxation often go hand in hand. In scientific studies, it has been proven that there are health benefits in practicing this kind of activity. By being in a relaxed state of mind, the person is also regarded to as in alpha state, of which is a level that promotes good healing. Relaxation in a person is highly recommended, since people always move and think, and by being relaxed it can also give relaxation to the body and mind that will eventually enhance our well-being as well. Knowing all this, one can see the connection of both scientific and religious factors, all because of meditation. Indeed, this activity shows a unique philosophy that can really help oneself. In practicing such kind of relaxation process, the person sees the innermost self at its fullest. This helps the person in dealing with external difficulties, seeing past all this and in a way becomes humble and calm in dealing with situations. This relaxed state of meditating allows the person in helping oneself health-wise, since this to can take away simple headaches, stress, mild anxiety. It began way before, and it will never go away. This kind of activity brings out the person in you. By meditating, this will give you a sense of calmness in a positive state. There are no known facts that this can be harmful to you, so why don't you give it a try?